Fletcher Jennings & Co 0-4-2ST 1 Talyllyn arrives at a rain soaked Abergynolwyn station on 3 June 2012 with the 10:30 service from Tywyn Wharf to Nant Gwernol. 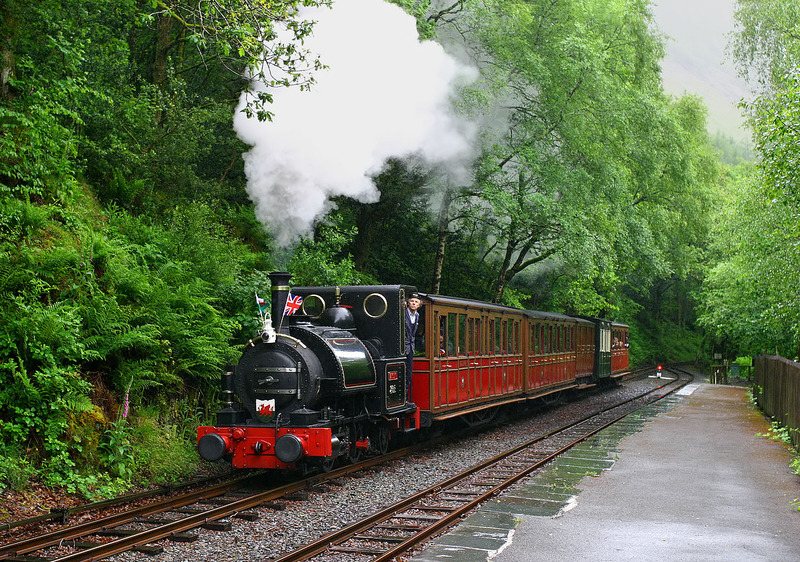 This was the Talyllyn Railway's first locomotive, which was originally constructed as a 0-4-0ST. Poor stability soon led to the addition of trailing wheels. A cab was also added (very necessary in weather like this! ).